Located on the beautiful west end of Ocean Isle Beach in Oceanside West Community. 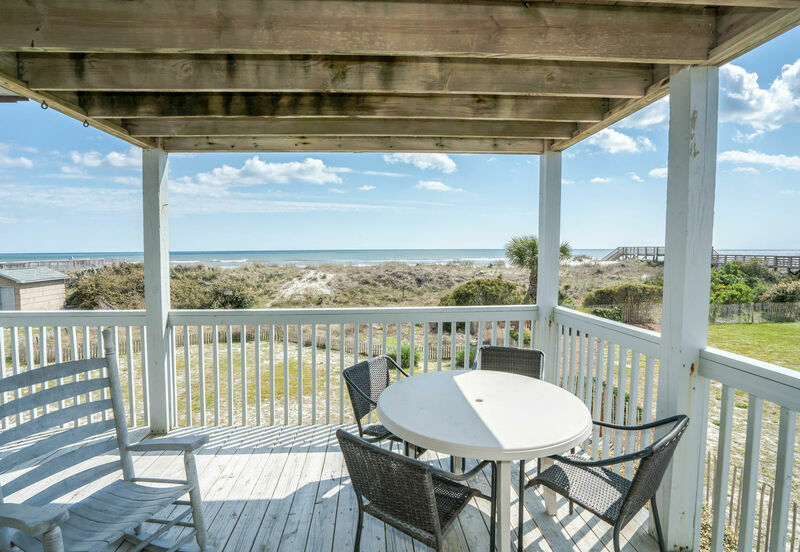 This second floor oceanfront condo, features 3 bedrooms, 2 full baths, fully equipped kitchen with stainless steel appliances, a private balcony, oceanfront swimming pool with direct access to the beach! Watch the sunrise and sunset, with unobstructed views of the ocean. Sleeps 6 - Beds: King, Queen, Twin/Twin. 2 Color Cable TVs, WiFi Internet. Dishwasher, Electric Stove, Refrigerator, Microwave, Washer & Dryer in unit, Ceiling Fans throughout. Covered Deck and private oceanfront balcony. Beds made upon arrival and bath linens provided.